Located a mile south of Hazleton, Fontana Park has been developed around the site of the old 19th century Fontana Mill & Dam. 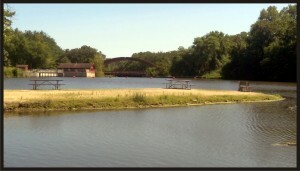 Fontana Park’s 134 acres includes Fontana Lake, Otter Creek and large areas of forest preserves. 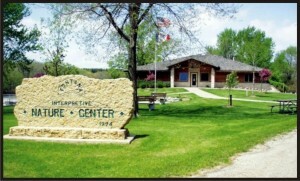 The Fontana Interpretive Nature Center contains meeting and classroom areas, a variety of exhibits, a nature library and observation deck, and staff offices. As visitors use the nature center they see and touch natural objects, play games and find answers to questions. The nature center was built with conservation in mind, making use of local resources and energy-efficient technology. 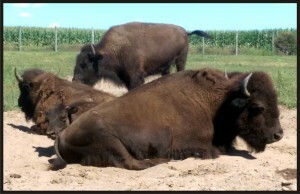 Visitors to Fontana Park can enjoy the live wildlife display that features animals native to Iowa. Animals in the display include orphaned, injured, or human raised wildlife that can no longer live in the wild – without human care they would perish. Daily care is given by a dedicated staff that provides the best possible environment for the residents of the display. The cabins feature overnight comfort with solar electricity and energy efficiency. Each cabin comfortably sleeps five, with two private bedrooms, living/dining room, a private bathroom with shower, porch, table, grill and fire ring. The cabins are off-grid with all electrical needs supplied by roof-mounted solar panels with battery storage. 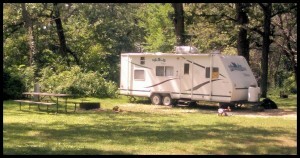 There is a lot to do while camping at Fontana Park. 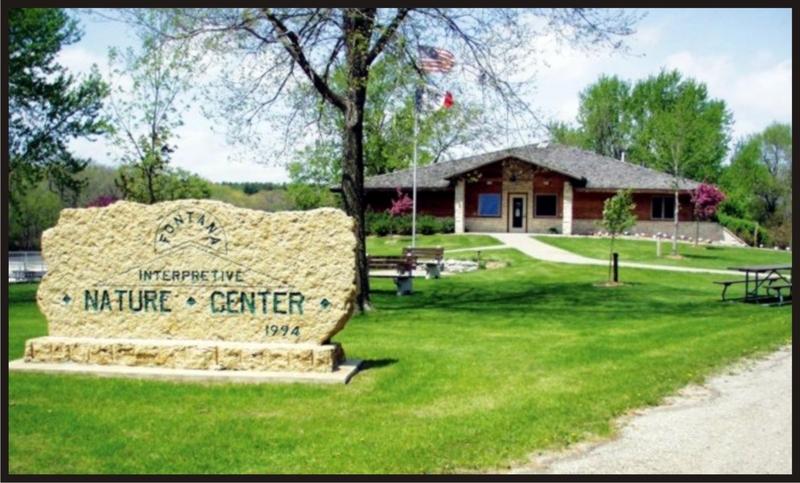 The Interpretive Nature Center, wildlife display, trails, picnic shelters and a playground are within walking distance of the campground. Fishing is popular on Fontana Lake and in Otter Creek that winds along the campground below the dam. The campground has its own shower house with flush toilets and a dump station. Firewood is available for purchase. Some sites are available for reservations. There are three picnic shelters available at Fontana Park. 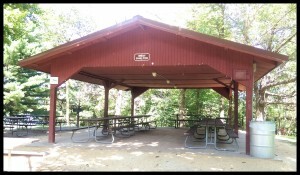 All picnic shelters have tables, electrical outlets, garbage cans, nearby grills and restrooms. The Fontana Mill Shelter House was built on the foundation of the old mill and overlooks the Fontana Lake and the dam. It can be enclosed during inclement weather. 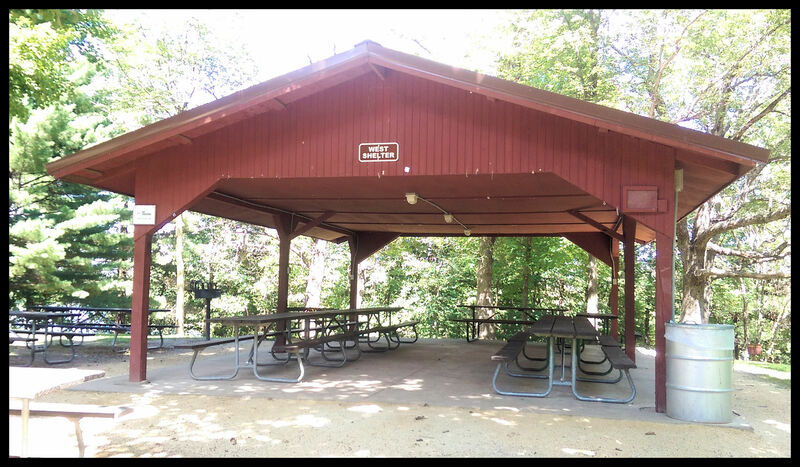 Picnic shelters that may be reserved by the public for a small fee by calling 319-636-2617. 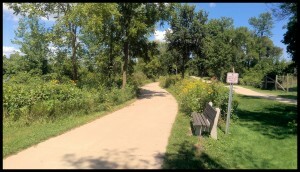 Fontana Park has 1.25 miles of looping hiking trails that skirt the lake and wind through the wooded area. 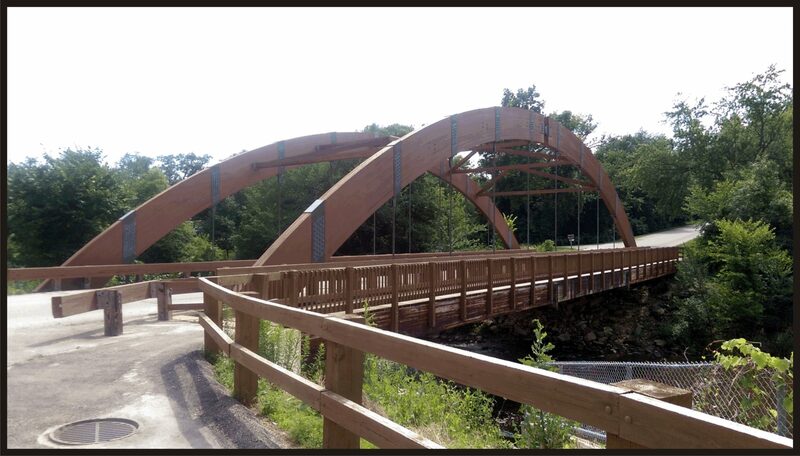 There is also 1 mile of paved trail open for hiking and biking that leads from Fontana Nature Center into Hazleton. Many visitors to Fontana Park enjoy fishing below the Fontana Dam or on one of the three nearby jetties on Fontana Lake. Ice fishing on Fontana Lake is also allowed in the Winter. Non-motorized boats are welcome to explore the section of Otter Creek north of the Nature Center. There is a small loading and unloading area near the Nature Center. Groomed cross country ski trails are available during the winter and a portion of Fontana Lake is usually cleared for skaters each winter.